Family Day weekend is upon us, and there’s a slew of fun activities planned in Cornwall and area. From outdoor adventures to sports and theatre, there really is something for everyone! Make sure to check out these fun events and – better yet – invite some family and friends from outside of the area to join you and let them discover all we have to offer! The NAV Centre is ringing in Family Day weekend with its Family Day Spectacular celebration. Enjoy Sunday brunch at Propeller restaurant ($24 per person, with half-price for children 5-12 and free for 5 and under) and receive a free bracelet for access to the NAV Fit pool and bouncy castle world in the gym! The bracelet will be valid for Sunday and Monday from 11 am to 5 pm. If families want to pass on the brunch, bracelets are $20 per family to join in the fun! 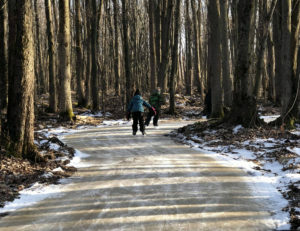 Bring the family to one of the area’s coolest winter attractions – Countryside Adventures in Moose Creek, home of a 3 km ice skating trail through the woods! The venue will be open Friday from 10 am to 8 pm, Saturday from 8 am to 8 pm, Sunday from 8 am to 6 pm and Monday from 8 am to 6 pm. Enjoy special Family Day weekend pricing – $38 for two adults and two children (5 and under are free)! Dive into fun times at the Cornwall Aquatic Centre this Family Day weekend! The Aquatic Centre will be open Family Day for a leisure swim from 2 pm to 3:25 pm. Enjoy a Family Day skate at the Benson Centre. There will be free senior skating from 9:30 am to 11 am followed by a free public skate from 1 pm to 2:30 pm. Or check out one of the City’s many outdoor rinks (weather permitting) for a game of shinny! Big Ben Ski Centre will be open from 10 am to 4 pm on Family Day. Skiers and snowboarders of all ages can benefit from discounted tickets – just $5 on Family Day! The Cornwall Public Library is hosting a series of activities on Family Day, including Toddler Adventures at 10 am, Black History Month – Dance and Percussion at 11 am, Family Cinema: Christopher Robin at 2 pm and Family Tree Craft (registration required) at 2:30 pm. Take in some great local theatre with Seaway Valley Theatre Company’s presentation of The Drowsy Chaperone, the Canadian winner of five Tony Awards. Shows take place Friday and Saturday at 7:30 pm and Sunday at 1:30 pm, at Aultsville Theatre. The Cornwall Colts will play their annual Family Day game at the Cornwall Civic Complex, taking on the Smiths Falls Bears Monday at 2 pm. Come out and watch some great Junior A hockey action! 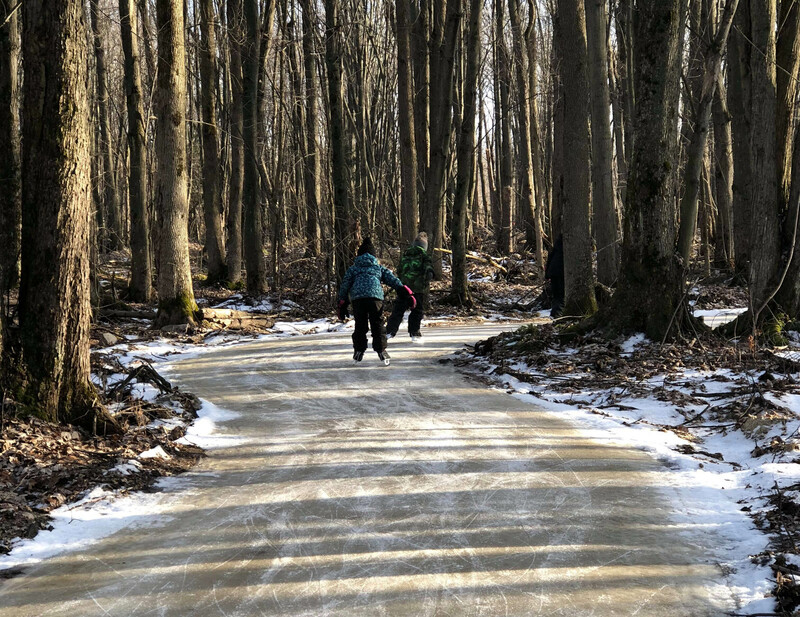 Head outdoors and enjoy snowshoeing or exploring at some of our amazing outdoor spaces like Guindon Park, Summerstown Trails and Upper Canada Migratory Bird Sanctuary. Snowshoes are available for rent from the Raisin Region Conservation Authority or from both the Summerstown Trails and Upper Canada Migratory Bird Sanctuary. Head to North Glengarry for a full slate of Family Day fun, including free horse-drawn wagon rides, showshoeing, public skating and shinny and more.